Listening to artists like NWA on the West Coast and Wu-Tang and Nas in the East, growing up Chinx wanted to emulate the freedom of expression that his favorite artists embodied with their lyrics. Raised in Far Rockaway, he was surrounded by a level of poverty that drove people into drugs, the ghetto and the streets. While divulging into that lifestyle personally, music gave him an outlet to convey his experiences, his fears and his ambition. An ambition that still drives him today as a father and as a musician. During the early years of his career, Chinx formed a friendship with the late Stack Bundles, also from Far Rockaway. The two created The Riot Squad and continued to record together for several years. In 2005 Chinx was incarcerated and it was during his time inside that Bundles lost his life. His death was heavy not just for Chinx but for fans everywhere, that had a profound respect and admiration for Stack Bundles as a person and as a musician. As personal as this loss was, it awakened the musical child in Chinx, who didn’t want the legacy that Bundles had built over the years to disappear with his death. When Chinx was released from prison, he started focusing on really making an impact with his music. Meeting French Montana through Stack Bundles’ close friend Max B, the two fashioned a genuine alliance. “We were making music together at Max’s house,” Chinx says about first working with French. The work that was released generated a wave that grew to become the Coke Boys movement. With the release of his “I’m A Coke Boy” record featuring French Montana in 2012, Chinx created a wave that perpetuated his popularity not only in the United States, but internationally as well, and solidified his position in the music industry. Produced by Harry Fraud (who also produced for Mac Miller, French Montana, Rick Ross, Wiz Khalifa) “I’m a Coke Boy” was released on Chinx’s ‘Cocaine Riot 2’ mixtape, and was embraced by media, tastemakers, and most importantly his fans, with positive reviews all across. The song quickly became a club favorite and in January 2013 Funkmaster Flex premiered “I’m A Coke Boy Remix” on Hot97 with verses from Rick Ross and Puff Daddy, which took over New York radio for the best part of the year. Along with other members of the Coke Boys, Chinx has been a part of several projects including the Coke Boys mixtape series, with the last edition receiving rave reviews online from magazines like TheFader, XXL, Complex, Vibe, RapRadar and many more. Independently, Chinx has also dropped his own mixtape trilogy titled Cocaine Riot. The last tape, Cocaine Riot 3 dropped in early 2013 featuring artists like Juicy J, Roscoe Dash, Lil Durk, Ace Hood, DJ Khaled, Rick Ross, Puff Daddy and of course the rest of his Coke Boys family including French Montana. The tape garnered heavy attention with over half a million downloads online. 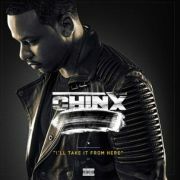 Currently Chinx is working on his first EP to be released in late 2013. The story of Chinx is one of humble beginnings and an undying ambition to strive towards greatness and fulfill a higher purpose. The tribulations of his youth and unfortunate dispositions of his early adulthood have sculpted him into a much wiser man, all while maintaining a certain undeniable charisma that continues to draw new fans in everyday. chinx drugz does not share this information.